There's no librarians telling you to be quiet here though. 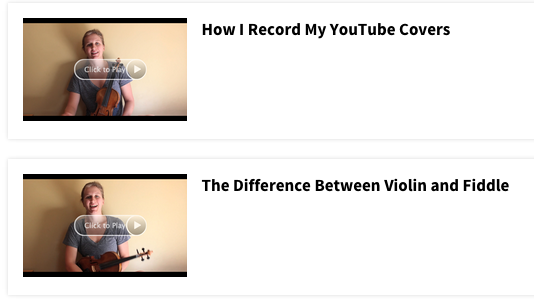 Grab your violin and start learning! The lessons library is divided into several different courses. To access each of the courses, click on the link. To learn more about each course, check out the sidebar which describes the different learning outcomes. Select a free course or book to try. 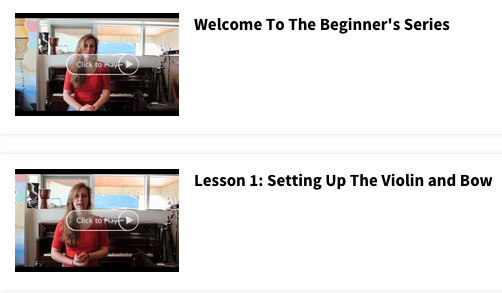 The Beginner's Series is for absolute beginners. It'll take you from not knowing how to get your violin out if its case, all the way up to playing your first song! 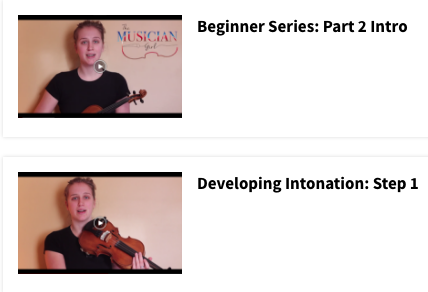 The Beginner Series Part 2 is for people who already have a rudimentary understanding of how to hold and play a violin but who want to dive in a bit deeper. This course will troubleshoot any problems with posture or sound you might be having. It also explains why we hold the violin the way we do, and introduces you to new techniques and repertoire to continue learning. 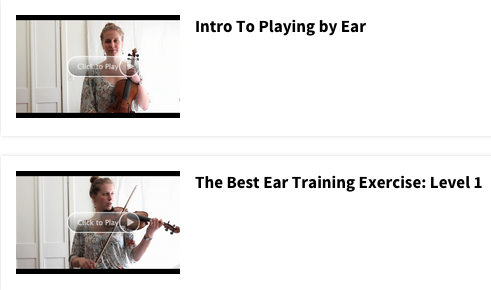 The Ear Training course is for people who want to learn how to play by ear. I recommend this course for almost anyone, whether you're just starting out or you're a total pro. 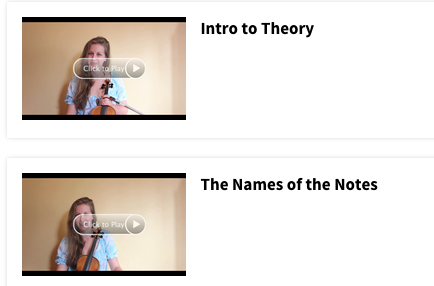 The Music Theory course is for people who want to become more independent in their playing. It'll give you the tools you need to be able to improvise, read music, and understand how music is written. 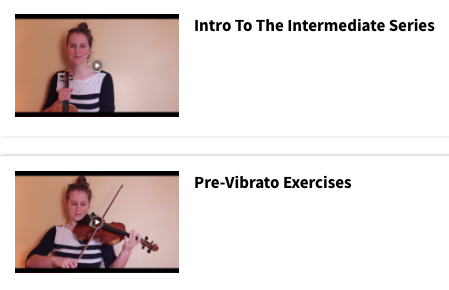 The 30 Days To Improvisation is a PREMIUM COURSE for people who want to learn about how to create their OWN music. It is challenging, time consuming, and rewarding. The Next Level Technique course is for people who already have the basics, and who want to expand their knowledge of their instrument. The aim is to give you the tools you need, so that you can apply them where you want. 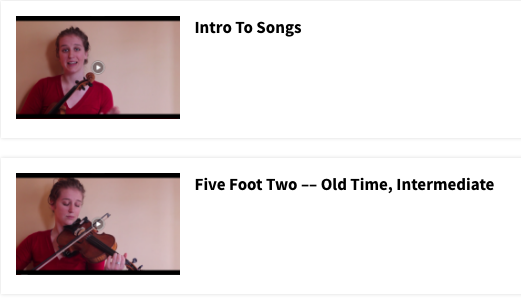 The Songs course is where you build your repertoire. Asides from just teaching you songs and honing your by-ear abilities, the songs series also goes further to teach you how to interpret and add feeling and style to each piece. 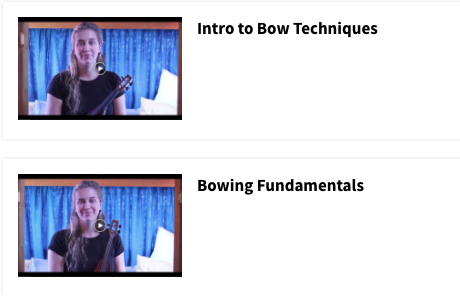 The Bow Techniques course is for everyone. Everything comes back to the bow, because it is the source of your sound quality. 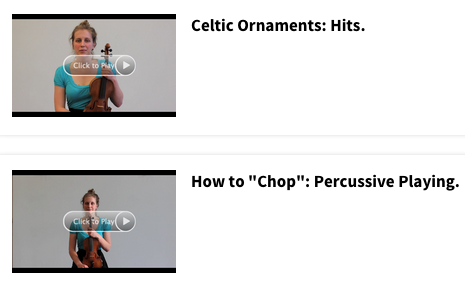 Learn how to properly control the bow, and you learn how to properly control your sound. 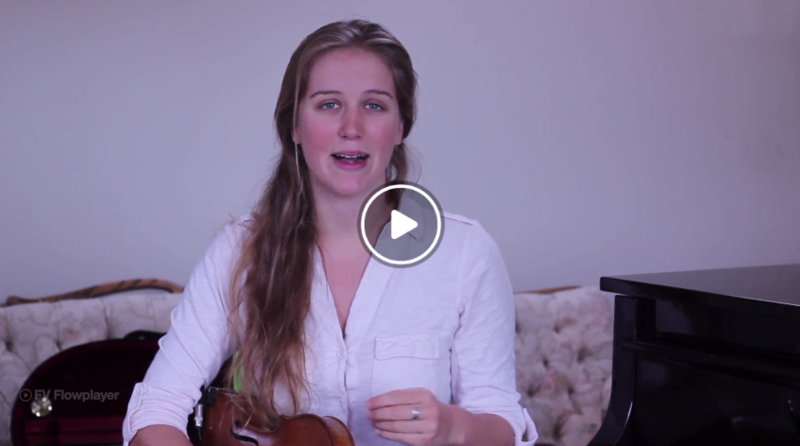 The FAQ course is a jumble of videos that answer as many of your violin related questions as possible. Feel free to request FAQ videos which would be helpful to you! A subscription gets you unlimited access to all regular membership courses. Premium courses are robust courses that come with course textbooks, certificates of completion, and a more structured process. Premium courses are designed for maximum results in minimum time! They come with an additional fee.